Evangelistic Christian gospel tract for Easter. The miracle of Easter is that Jesus is alive - and that we can all share his life! 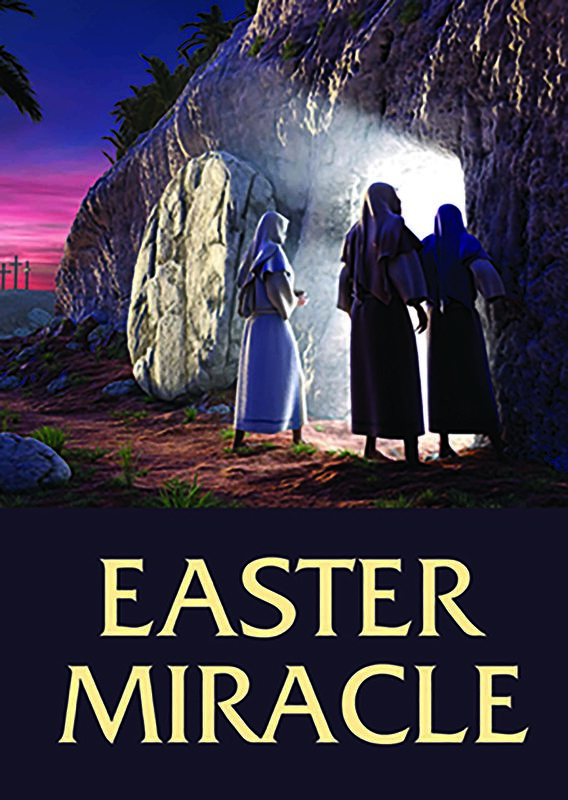 Easter Miracle Pack of 50 by Lois Williams was published by Apostolos Publishing Ltd in January 2017 and is our 4549th best seller. The ISBN for Easter Miracle Pack of 50 is 9781910942895. Be the first to review Easter Miracle Pack of 50! Got a question? No problem! Just click here to ask us about Easter Miracle Pack of 50.